The transitional period out of elementary school and into high school is critical to a student’s development. That’s why middle school tutoring programs can be so helpful. 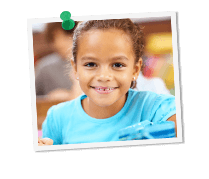 Maximize your child’s middle school success with in-home tutoring from Grade Potential. Grade Potential’s middle school tutoring does more than just boost GPAs. We provide personalized, consistent encouragement to boost confidence and motivation for students as they strive towards higher learning in school. Middle school is the perfect time to tackle nagging subjects—by paying extra attention to tricky coursework now, your child will be better prepared for high school courses when they come. So work with a middle school tutor to help your child master a subject and push towards specific academic goals!